Ah, hello beautiful feeling of achievement! Sometimes I forget how good you feel. Both in my work and in this blogging business (alright, hobby) I got myself into, days can go past when nothing feels right. Food that isn’t worth writing about and maths that doesn’t mean anything no matter how hard you squint, or scale, or both. Today isn’t one of those days, I think. The sun helps too. But is a bowl of rice pudding worth blogging about? And how challenging can it be to qualify as part of a challenge? Well, I haven’t cheated. 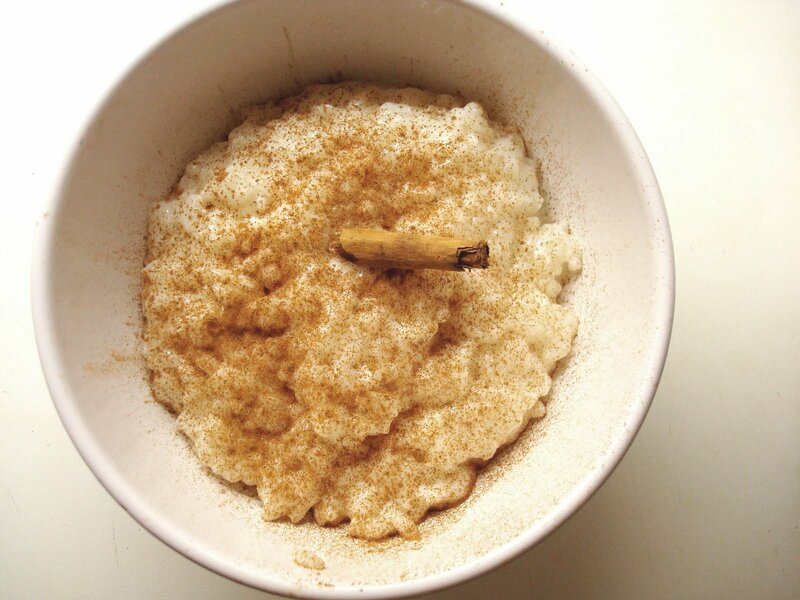 I’ve never made rice pudding before, not the Greek kind, not any kind. And this is about me learning, right? And it was totally worth it because when I tasted it, it made me feel like a kid again. It was exactly right. Now, you might like your rice pudding a specific way, and I don’t blame you. This one is the one I grew up on. It’s a bit different to English rice pudding; first of all, it’s supposed to be eaten cold. It tastes better cold. And secondly, you sprinkle cinnamon on top. No nutmeg, no jam. It’s got to be cinnamon. The recipe comes from the Greek Delia as I like to think of her, or Vefa as is her real name. I’ve changed quantities a bit as I didn’t like it as sweet and I thought the amount of cornflour was a bit on the extreme side. In a pot, bring the water to boil and add the rice. Cover and let it simmer until all the water has been absorbed. In 1/4 cup of the milk, add the vanilla extract and the cornflour and dilute. Bring the rest of the milk to boil (or warm up in the microwave which is what I did) and add it to the rice, together with the sugar. Let it simmer for about 20 mins. When it’s done, thicken it by adding the cornflour-milk-vanilla mixture, bring to boil and cook for another 5-10 mins while stirring to make sure it doesn’t stick to the pan. Let it cool and split it into 6 bowls. You can keep them in the fridge until you serve them. You know the thing I said before about cinnamon? Don’t listen to me and my food pedantry. 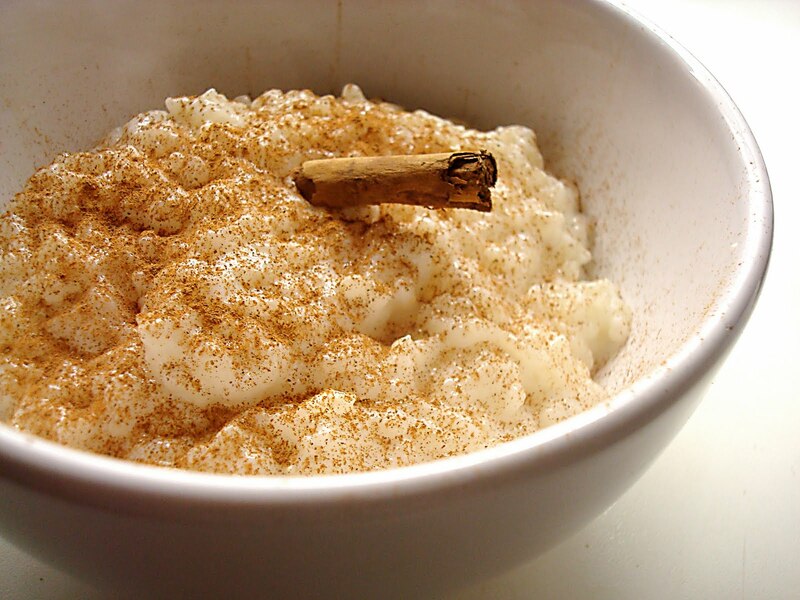 Rice pudding is the easiest and friendliest and least pretentious pudding in the world. Have it with whatever you fancy! Vefa's sweets and dessert recipes are consistent, are reliable and taste good.